The Loads of Love (LOL) program launched in 2017 to install laundry facilities in schools and non-profit organizations to remove a barrier for child attendance and participation in programs and sports by providing a discreet solution to the challenge of having clean clothes. In the fall of 2018, 42 new sites received funding and began their transformations. Since the kickoff in October, more than 10 sites have become fully operational, with new sites opening each week. To date, the program has funded 47 Loads of Love sites across the DMV. In honor of National Laundry Day, Nick Sundberg will be matching all donations (up to $25,000) to Loads of Love starting April 15 through May 15. To donate, visit here. St. Joseph’s Villa is a non-profit organization located in Richmond, VA devoted to serving youth. They serve upwards of 3,000 children and families each calendar year and were eager to apply for the LOL grant. The center officially opened in March of 2019 and has washed over 30 loads of laundry and expects to serve over 200 individuals in the first year. 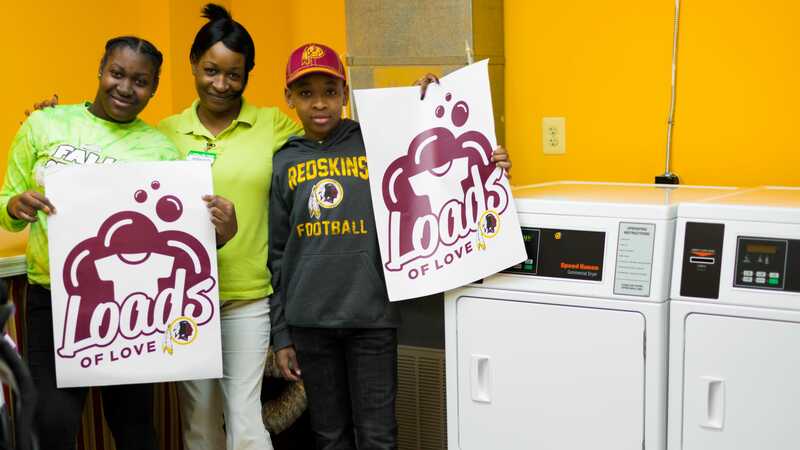 “The Redskins Charitable Foundation’s Loads of Love program is providing a much-needed service to our students who would not otherwise have access to clean clothes. The impact since opening our three new laundry locations earlier this year has been tremendous. Our students are coming to school with more self-confidence, and have the opportunity to use the facilities to build life skills and job skills while helping their peers. Loads of Love has been supportive every step of the way," said Matthew Kreydatus, the organization's Director of Career and Transition Services. Serving the needs of homeless families in the Fredericksburg area, the Brisben Center is one of the community’s largest emergency shelters. Housing 80 individuals on any given day, the center provides their residents with a safe environment to complete daily tasks, including laundry. During the 2018 fiscal year alone, the Brisben Center served 590 men, women and children. As a recipient in the 2018 LOL grant, the Brisben Center renovated their existing laundry center to include new washers and dryers units, more laundry supplies and the ability to beautify the space. Prior to receiving the grant, the center was unable to offer full laundry services to their residents each week. Now, families are able to have clean clothes any day. Located in the heart of Fairfax County, Key Middle School is a diverse community, home to 7th and 8th grade students from all walks of life. 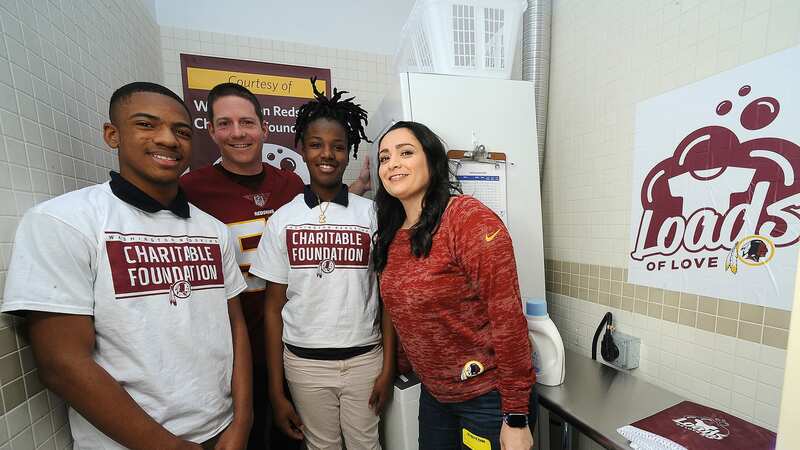 As a partner of the Redskins Charitable Foundation, students from Key Middle School have participated in numerous programmatic opportunities including Fuel Up to Play 60, the ASPIRE initiative, Redskins FITT and now, Loads of Love. 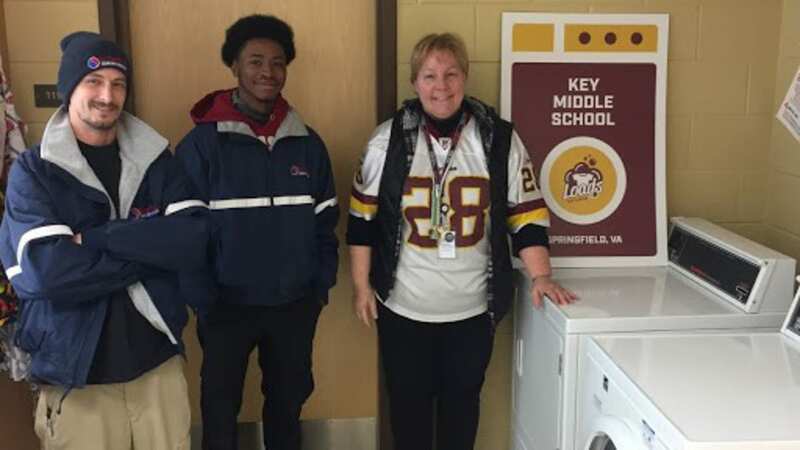 Students and staff collaborated in the construction of the school’s laundry center, which is aimed to assist students with cleaning school uniforms. The school has also offered the laundry services to parents and siblings of students as a way to assist families in financial need. Stepping Stones Shelter Inc. provides services to homeless families with children, in Montgomery County Maryland, in order to move them from crisis to a stable home environment By offering basic necessities including food, shelter and supportive services in a safe environment, Stepping Stones prides themselves in providing hope for the future, strengthening families and promoting self-sufficiency. Prior to receiving the Loads of Love grant, the Stepping Stones laundry facility was in need of significant repairs including new washers and dryers and repairs to damaged flooring. As the first fully funded site in the new grant cycle, KIPP DC Shaw Campus was eager to open their laundry center to students. 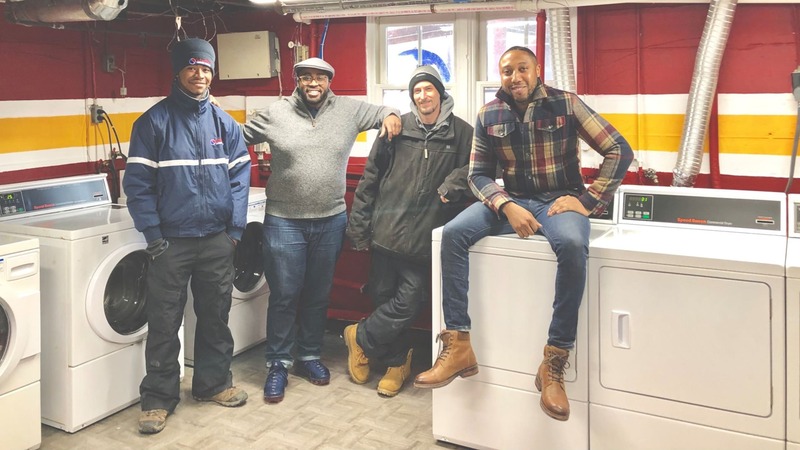 Prior to the laundry center opening, KIPP DC staff would often take home student uniforms to wash, adding additional wear and tear on their own personal washer and dryer units. 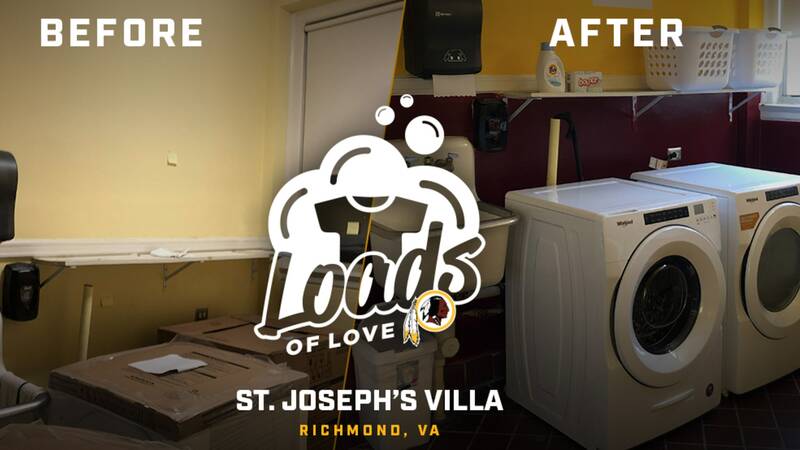 To learn more about the Loads of Love program, apply for funding for your school or non-profit, or to donate, visit https://www.redskins.com/community/loads-of-love.